Practical Procedures in Anaesthesia and Critical Care (Oxford Specialty Training: Techniques)@1395 Rs [Mrp:-1395] - Onlinedeals.discount - A leading product discovery website. Find the true prices of products, read reviews and buy top brand products at reasonable prices. The ability to perform a wide variety of practical procedures safely and competently is essential for any doctor involved in the practice of anaesthesia and intensive care. Junior doctors especially are now called upon to gain competence in many invasive practical procedures in an increasingly short space of time, whilst also understanding the theory behind them. 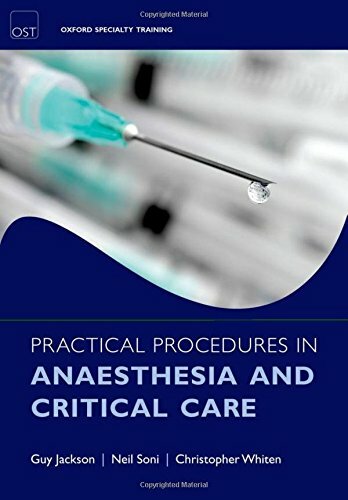 This highly practical book is the only guide needed to the procedures and techniques commonly used in anaesthesia and critical care medicine. Step-by-step, it clearly explains each technique and procedure, enabling the reader to fully understand how and why they are performed. Full colour photographs illustrate each technique, and every chapter covers the same essential information: definition, indications, contraindications, complications, equipment, sites, and technique, for ease of use. This book will be used by all junior trainees in anaesthesia, along with junior doctors from other specialities working in intensive care units. It will also be useful to any senior anaesthetist who wishes to update or refresh their knowledge, as well as anyone working in the emergency ward who performs any of these procedures.